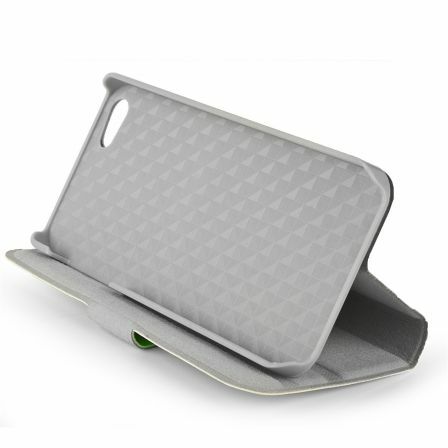 If you already have an iPhone 5 and want to protect it from bumps, scratches and stains, you might be interested in this case based on the Smart Cover the iPad. It covers the whole device and allows you to view the contents in a horizontal position as if it were a frame. 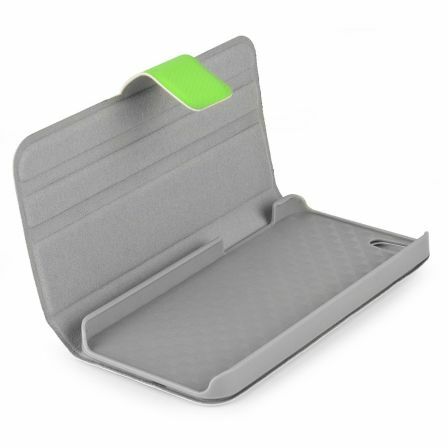 For iPad users who already have this protection, you can verify that it is the same type of housing, but this time for the iPhone 5. It's really tough, completely covers the phone and fits perfectly. The phone is completely covered by the case and this fits perfectly with the buttons, camera and connectors on the device outputs. The housing enables you to place your phone horizontally without any other accessory that serves as support (useful for watching movies, photo slideshows or any other content-length). The housing material is leather. It is available in the following colors: green, blue, purple, pink and white, even though the inside of the casing is gray in all options. It is on sale in promotion in some websites like Amazon.fr for less than 12 €.